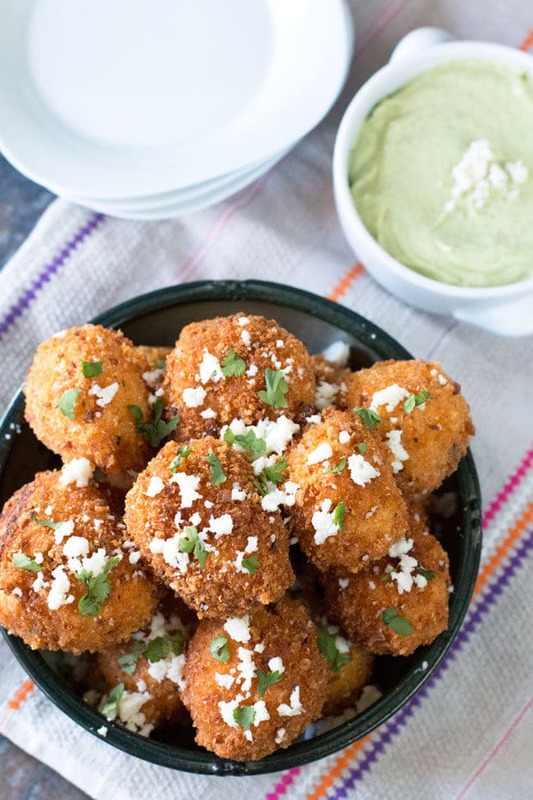 Mexican Arancini with Avocado Cilantro Dipping Sauce are my fiesta take on one of my favorite snacks of all time. 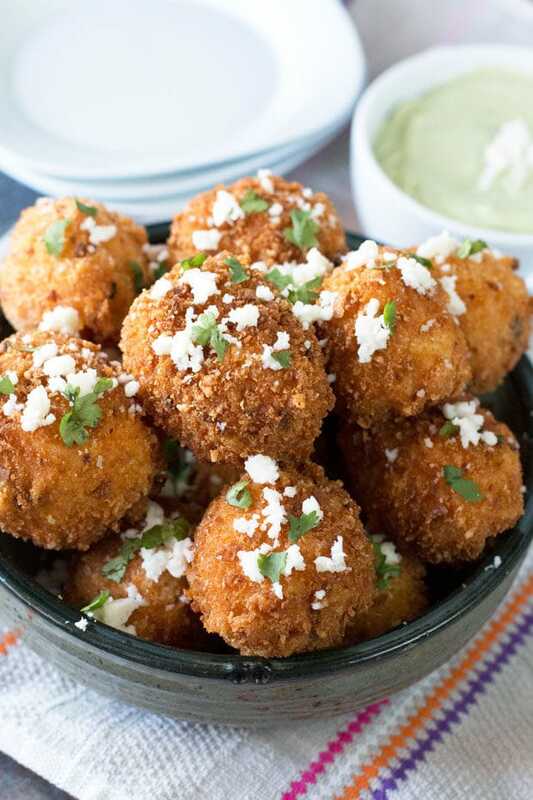 The cheesy, spicy fried balls of rice get just the right amount of cooling from the bright avocado cilantro dipping sauce they’re served with. 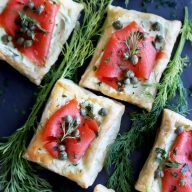 When I lived in Rome while I was studying abroad, arancini and I had a grand love affair. We would take long romantic walks through the city and, even if it was rainy and cold outside, arancini would always keep me warm. Ok so I might have had a fling with gelato on the side during all this, but arancini was my savory flavor for most of my time over there. The main reason was… I was broke. I only had so much money while I was there and I was hell bent on spending most of it on traveling around Europe. That meant my normal meals while I was going to school were pretty cheap. There was this little pizza shop around the corner by the Vatican that served up pretty inexpensive slices and 1 Euro giant arancini. Those arancini are still some of the best I’ve ever tasted, but I do have to pat myself a little bit on the back here because I’ve finally started to perfect them at home. These Mexican arancini are essentially me on a plate. 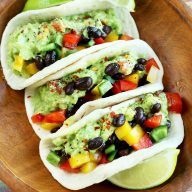 Crisp and sassy on the outside, a cheesy spicy mess on the inside, served up with a hefty helping of avocado. Yep, that pretty much sums me up. 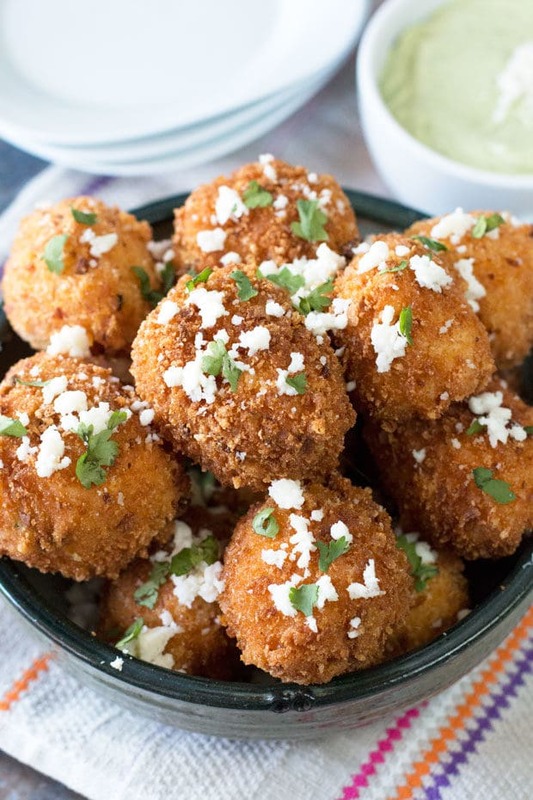 Mexican arancini make a great snack or even a quick lunch in a pinch. 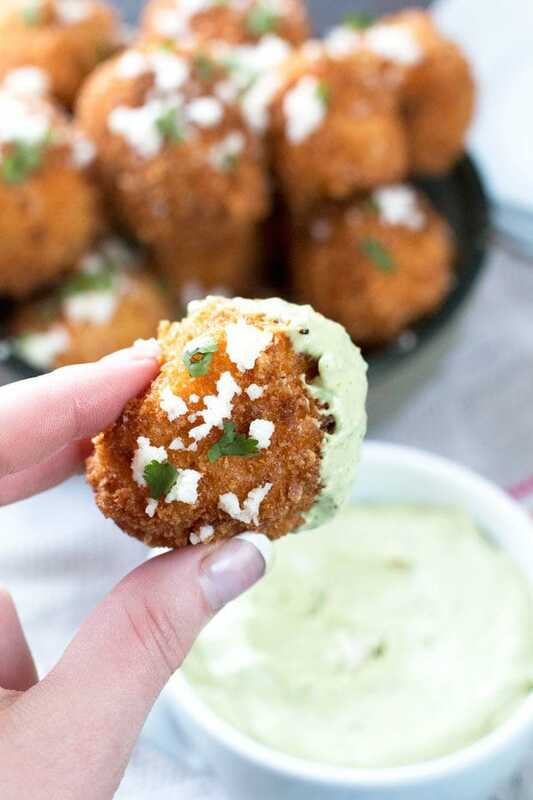 The spiciness of the fried balls of cheesy rice are cooled off with the creamy avocado cilantro dipping sauce it’s served with. Top it all off with some crumbled queso fresco and fresh cilantro, you’re in carb-loaded heaven.